Comes with generic white sleeve, sealed to the back as per other copies. Only 6 known copies exist, but this copy has the 'date stamp' which has faded on other copies. Never played, amazing condition.This vinyl will increase in value over the years. Ships from the UK - can collect in Person in areas in Northern England. 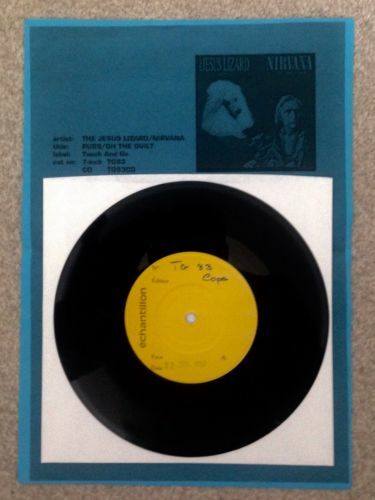 I have been a collector of Nirvana vinyl ,especially Test Pressings for many years and know the value of these collectors items - any questions , please ask. Oversea's bidders welcome - Tracked/Signed for mail only via International courier. Any taxes or import charges are at buyers expense.